The American Cowboy Chronicles: RANDOM SHOTS! Drunk in Seattle, Global Warming Guru "Alarmist," George Zimmerman, and Much More! RANDOM SHOTS! 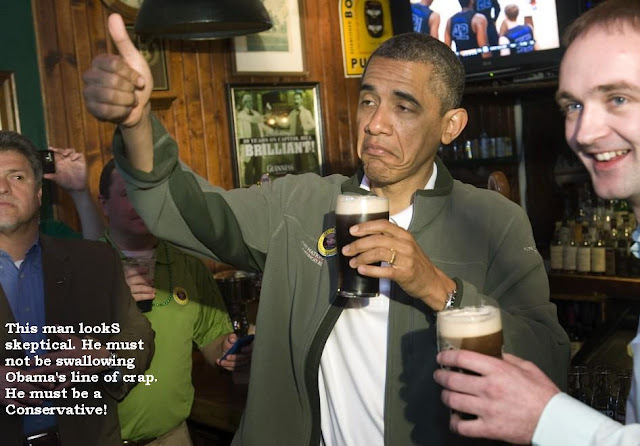 Drunk in Seattle, Global Warming Guru "Alarmist," George Zimmerman, and Much More! To many in America, at the heart of this next election is the question of the loss of American Liberty. Like it or not, our freedom, our liberty, will not be taken from us in one swift action by the government - but instead piece by piece through regulations and restrictions and demands from the State. Right now, Americans are fighting mad about over-regulation coming from the Federal, State and Local governments. It's effecting every American, even local farms are in a fight to stop growing regulation. In Haverhill, Massachusetts, family farmer Marlene Stasinos is having to jump through hoops just to raise a few pigs for her family. The Stasinos family have been farming in and around Haverhill for three generations, but she says backyard farming is under attack. Their farm has been a farm for over 200 years. “It's tough to grow local when the regulations stop you,” she said. Last year, Stasinos and her husband Chris were raising eight pigs on her 139-acre hay farm. Then the local City of Haverhill Board of Health stepped in. "They told us no," she recalls. "We couldn’t believe it." She says the board told her her barn was too close to the road and too close to her home. "This barn has been here for 200 years," she said, pointing out that for most of that time, it housed livestock. "They used to build barns close to the main road to make it easier to get the meat to market." As insane as it sounds, the City of Haverhill has rules that require livestock be kept more than 100 feet from a home and more than 300 feet from a property line. "If every farm in Haverhill followed those rules," Marlene Stasinos said. "There would be no farms left." She says local rules and regulations make growing local untenable. "Unfortunately, it's going to put us out of business," she said. "We are not going to be able to continue farming if the regulations keep squeezing us." Hogwash, says attorney Arthur Aidala, who says regulations are necessary whenever you’re raising animals. "These are animals people are going to eat and people are living right next to," he says, and like a true beurucrat goes on to say, "You have to regulate them." Yes, he said, "people are living right next to [the pigs]! Why worry about who lives next to 8 pigs housed in a barn located on 139 acres? Why not allow 8 pigs on 139 acres? That's right, the Stasinos family have 139 acres. So no, this isn't some city lot in the middle of town - this is in a rural area zoned for agriculture. And yes, they are raising only 8 pigs! The Stasinos, and other farming families, have gotten some help lately. The City of Haverhill, and pointedly Peter Carbone, have come under fire from farming groups throughout Massachusetts who say if Haverhill’s rules are adopted by other towns - it will be the end of local farming in Massachusetts all together. "First they get rid of pigs," said Rich Bonnano, president of the Massachusetts Farm Bureau Federation, "then they're going to come after chickens, then maybe beef." Rich Bonnano says the City of Haverhill set its rules with no idea about what it takes to raise animals. He says the town and other towns like it will end up with no local food. "It's an attack on the buy local movement," Bonnano said. Peter Carbone says he is just concerned about people’s health and safety. It sounds like he's just trying to justify his position by coming up with nonsense like bothering family farmers. “We won’t be able to grow food if they keep over-regulating us,” she said. The irony is that Haverhill started out as a farming community, and per the 2010 census about 7.0% of families and 9.1% of the population were below the poverty line, including 12.3% of those under age 18 and 10.0% of those age 65 or over. Since almost 10% of the population in below the poverty line, I can't help but wonder how town lawmakers can make it harder for its people to raise their own food - and still sleep at night? House GOP leaders said Friday they are pursuing a plan to hold Attorney General Eric H. Holder Jr. and the Justice Department in contempt for “stonewalling” them over information regarding the administration’s failed Fast and Furious gun-tracking program. GOP Rep. Darrell Issa confirmed to Fox News that House Speaker John Boehner gave him and others on his House Committee on Oversight and Government Reform the authority to drafted a contempt of Congress resolution. “We have a few other options (but) to a great extent we’ve been stonewalled by the Justice Department,” said Issa, R-Calif. The news of the document and the extended meeting in Boehner’s office was reported first by The Los Angeles Times. The resolution, if approved by the GOP-led House, could force Holder to release thousands of pages of documents related to the Bureau of Alcohol, Tobacco, Firearms and Explosives’ program. Holder and other Justice Department officials say they are cooperating with Congress’ investigators. The Fast and Furious program was run by the ATF’s Phoenix office from 2009 until early 2011. It allowed illegal gun purchases with the expectation of tracking the weapons to Mexican Drug Cartel leaders. 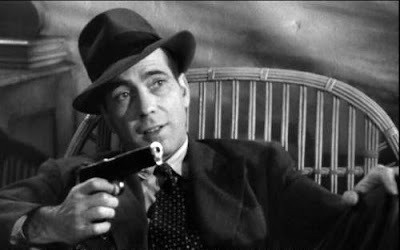 However, of the thousands of guns the feds smuggled into Mexico, hundreds of guns disappeared and eventually turning up at crime scenes all over Mexico. 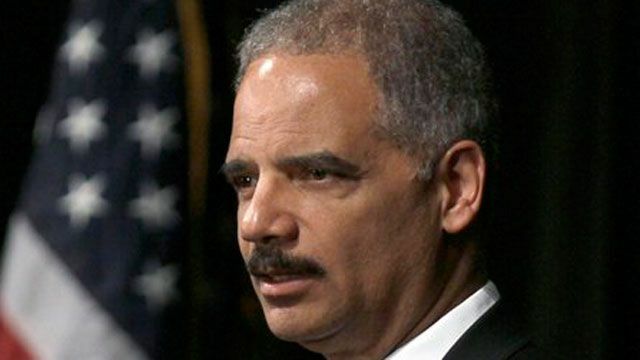 "The Justice Department has not fully cooperated with the investigation into gun-walking that occurred in Operation Fast and Furious.The House Oversight Committee continues to make necessary preparations to hold Attorney General Holder in contempt if the Justice Department refuses to change course and stop blocking access to critical documents," a House Oversight Committee spokesperson said. It is import for people to remember that both President Obama and Attorney General Eric Holder refuse to take responsibility for the gun running operation. At this time, Obama can be proud of the fact that no one is being held accountable for the deaths - of both Mexicans and Americans - that have resulted from the criminal act of allowing any guns to leave this country and enter another. Since we know what and where it was done, why hasn't the News Media asked Obama to explain who is being held responsible for this? And ask, why did his administration OK this criminal act? Global Warming Guru says "I made a mistake!" 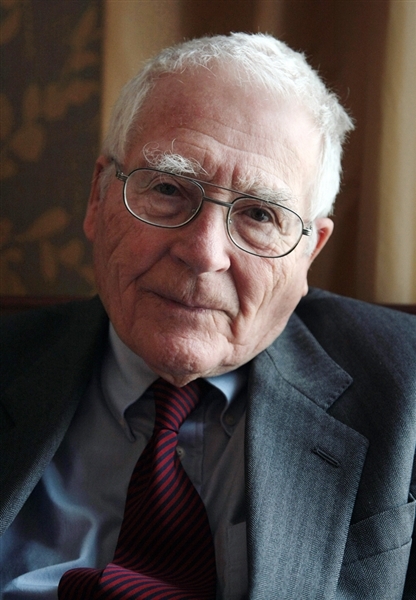 British Environmental, the man that most in the Global Warming movement called a "Guru," James Lovelock admits he was an "Alarmist" about Climate Change in the past. James Lovelock, the maverick scientist who became a guru to the environmental movement with his “Gaia” theory of the Earth as a single organism, has admitted to being “alarmist” about climate change and says other environmental commentators such as Al Gore were too. He previously painted some of the direst visions of the effects of climate change. In 2006, in an article in the U.K.’s Independent newspaper, he wrote that "before this century is over billions of us will die and the few breeding pairs of people that survive will be in the Arctic where the climate remains tolerable." Yup, I'd say that that was like yelling Fire in a crowded theatre for no reason. But now, the professor has a different story as he openly admitted in a telephone interview with MSNBC - believe it or not - that he now thinks he had been "extrapolating too far." His new book reflect his new opinion that global warming has not occurred as he had expected. "The problem is we don’t know what the climate is doing. We thought we knew 20 years ago. That led to some alarmist books – mine included – because it looked clear-cut, but it hasn’t happened," Lovelock said. "The climate is doing its usual tricks. There’s nothing much really happening yet. We were supposed to be halfway toward a frying world now," he said. "The world has not warmed up very much since the millennium. Twelve years is a reasonable time… it (the temperature) has stayed almost constant, whereas it should have been rising - carbon dioxide is rising, no question about that," he added. He pointed to Gore’s "An Inconvenient Truth" and Tim Flannery’s "The Weather Makers" as other examples of being unwarranted "alarmists." "Jim Lovelock has no university, no research institute, no students. His almost unparalleled influence in environmental science is based instead on a particular way of seeing things,” Oliver Morton, of the journal Nature wrote in Time. “Humble, stubborn, charming, visionary, proud and generous, his ideas about Gaia have started a change in the conception of biology that may serve as a vital complement to the revolution that brought us the structures of DNA and proteins and the genetic code." Many in the Global Warming Industry won't admit that they made a mistake. Many outside of the self-serving Environmental movement believe it is a well organized swindle, completely intentional on their part to do nothing but rake in the dollars with bogus scams like making people and companies buy "Carbon Credits". All just a Con Artist's dream! Believe it or not, this might sound fabricated - but it's not! Because of a study in which non-physicians performed more than 8,000 abortions, liberal California lawmakers are now proposing a bill that would allow people who are not doctors to terminate pregnancies. The Los Angeles Times reported this last week that the measure would significantly expand the number of abortion providers by allowing Nurse Practitioners, Nurse Midwives, and Physician Assistants to perform the most common first-trimester abortion procedure. The bill’s supporters, including Planned Parenthood Affiliates of California, say the results of a five-year study by the University of California at San Francisco prove that non-physicians can perform abortions as safely as medical doctors. Tracy Weitz, an associate professor who led the state-authorized study, said 41 midwives, nurse practitioners, and medical assistants performed more than 8,000 first-trimester abortions, which she described as "medically very simple with very rare complications." Carol Tobias, president of the National Right to Life Committee, said she was surprised abortion advocates would support a bill "lessening the medical requirements for someone who can do an abortion." "That does nothing to promote safety or protect women's health," she said. According to the Times, Carol Tobias also said the bill shows that "California is out of step with the rest of the country," compared to what other states are doing to impose tougher restrictions on abortions. 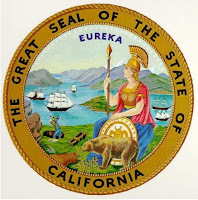 It's typical for the leftist who run the State of California to first argue that women who want abortions should be able to do so in hospitals legally, and now they reverse themselves and want to make back-alley abortions acceptable. The twisted logic of the liberal mind is an assault to the senses of sane men and women. ﻿ Why did George Zimmerman carry a gun? Well, unlike what you might hear in the Liberal News Media - no, it wasn't to shoot saintly black teenagers! Fact is, George Zimmerman and his wife began carrying handguns after repeated encounters with an extremely scary pit bull. The volunteer neighborhood watch Captain continued carrying a weapon as he did his job to secure a gated community in Sanford, Florida, as a string of burglaries had many neighbors frightened for their safety. The Zimmerman's both took firearms training courses and got handguns and concealed carry permits in late 2009 after a pit bull named Big Boi menaced Shellie Zimmerman near their home. That's a full three years before George Zimmerman's was attacked by Trayvon Martin. Reports indicate that Big Boi later went for a dog owned by Zimmerman's mother-in-law, prompting the Zimmermans to contact Seminole County Animal Services and to buy pepper spray. After a third encounter with the dog, Zimmerman called authorities and an officer who came to the house advised him to take up arms. "Don't use pepper spray," the officer told the Zimmermans, according to a friend who relayed the conversation to Reuters who reported this sequence of events. "It'll take two or three seconds to take effect, but a quarter-second for the dog to jump you. Get a gun." That November, Reuters reported, the Zimmermans heeded that advice and bought two guns in early December. George Zimmerman selected a lightweight Kel-Tec PF-9 which is a 9mm.pistol. 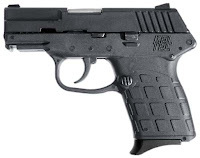 It is not clear if that was the same gun that killed Martin on February 26th after he was attacked by the teenager. Zimmerman, 28, who claims he acted in self-defense after Martin attacked him, has been charged with second-degree murder. After being released from jail on $150,000 bail, he has gone into hiding fearing for his life. The Liberal News Media, and Black politicians like Attorney General Eric Holder and President Obama, have drummed up a desire for vengeance within the Black community. And yes, there are those in the Black community who have a lynch mob mentality and are already threatening riots in the streets if they don't get what they want in the way of a death penalty conviction. President Barack Obama’s horrible Energy Policies are so unpopular with the American people that those policies may be all it takes to give Mitt Romney a victory in November's Presidential Election, says Republican Congressman Representative Morgan Griffith. "In my district, we just got another rate increase request from one of the power companies," said the Virginia congressman who sits on the House Energy and Commerce Committee. "People are starting to realize that a lot of this is caused by Obama polices and they’re not happy about it." But it is not just the cost of energy that is affected by the White House’s energy policies, jobs are disappearing too, he said. Griffith, whose district in extreme southwest Virginia includes much of the state’s coal mining industry, is proposing a "4-D Solution" to the country’s energy woes: Dig, Drill, Discover, and Deregulation. "A big part of what’s happening out here is we’re not allowed to dig and discover the things that we can use and we also have regulations that are causing energy prices to go up," he said. Representative Griffith and millions of other Americans are not very happy with Obama for his stated goal of pushing energy prices up. And yes, Obama thinks his wit, mocking others, sly comments, and a smile will make people forget it's his fault that we're in this horrible situation. A situation that's forcing Americans to make choices between buying gas for their cars to get to work, or pay their mortgage on time, or even buy food for their children. During the 2008 presidential campaign, then-candidate Obama talked up his Cap and Trade Proposal, telling the San Francisco Chronicle "Because I’m capping greenhouse gases, coal power plants, you know, natural gas, you name it — whatever the plants were, whatever the industry was, they would have to retrofit their operations. That will cost money. They will pass that money on to consumers." He said this as if this is OK! And yes, as my wife says, it's amazing that anyone voted for him knowing that he said such a thing. Griffith called Obama "a true believer that we shouldn’t be using any of the fossil fuels: oil, natural gas, or coal." "He’s staked out a position on that and, except for natural gas, he’s going to stick with that position." He said the only reason the president is not gunning for natural gas already is due to fears about his re-election prospects. "He realized if he didn’t have something to turn to besides algae, he was going to be in deep trouble ." 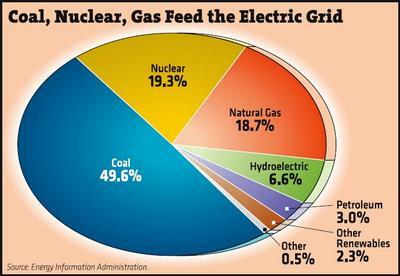 But if Obama beats Romney in November, natural gas will be his next target, Griffith predicted. "After the election, when he feels more flexible, natural gas will be in the sights of his attempts to drive up those costs of fossil fuels." Griffith said Obama's refusal to give the green light to the Keystone XL pipeline is just one part of the president's assault on American energy. "It is the easiest one for folks to understand," he said. "Obviously that has an impact on our energy," he said. "People understand that he’s not in favor of using North American resources to help us with our energy needs." But stringent new regulations aimed at reducing emissions from power plants are hurting just as badly, Griffith added, saying a new coal-powered plant in his district is so clean it will cut emissions by 95 percent — but that is still not good enough for the EPA (Environmental Protection Agency). "Plans for future coal-fired power plants are all being scrapped as we look across the board," added the freshman House member. "Everyone who’s got one on the table has got to be thinking about whether or not they’re going to go forward." As far as gasoline is concerned, Griffith believes prices have probably peaked and may even start to come down, but that has more to do with international events than Obama’s policies. "I'd be much more comfortable if we were drilling for our own oil and we had become energy independent, but this president doesn’t have any intent of going that direction," he said. "He wants to rely on Brazil or the Saudis and I’d rather rely on Americans." "We’ll have to see what the prices do. If they start to go back up in late summer, it will have an impact on the presidential election, as those people who are in the middle of it and are just trying to survive, realize that this president’s policies are a complete failure." Like millions of Americans, I believe that "Dig, Drill, Discover, and Deregulation" is the only way out of us being held hostage by foreign oil and the Democrat Party. I'm hoping that Obama gets a Pink Slip in November and is shown the door as a result of his arrogance and unwillingness to CHANGE! For a great example of the sort of attitude that one of the most power hungry agencies in the United States Federal Government has these days, here a story about a top administrator for the U.S. Environmental Protection Agency who has apologized for using the word "crucify" when describing the agency's enforcement policies. Besides actually using the word "Crucify," he had to apologize for saying the EPA makes examples of people and firms in the oil and gas industry. 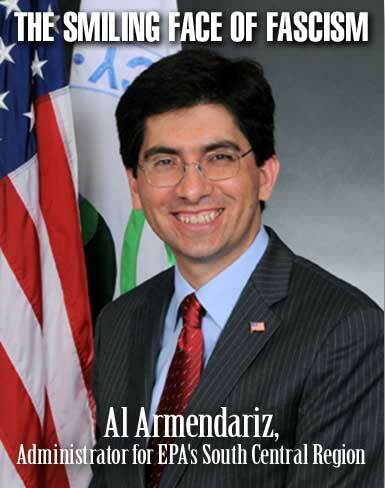 EPA Region 6 administrator Al Armendariz issued a written apology Wednesday after video surfaced of him at a meeting in Texas in May 2010. Armendariz was answering a question about EPA enforcement. Instead of keeping it some what professional, he didn't even come close to keeping it professional in his answer. The video shows him saying that in the Middle Ages, the Romans would enter a troublesome town, "take the first five guys they saw and crucify them." Then the town would be "really easy to manage for the next few years." He then said "the EPA similarly makes examples of oil and gas companies" not complying with the law. If this is what's going on in the EPA, if this is their attitude, than there should be a Congressional Investigation into their practices immediately. The Border Patrol is finding agents taking cash for running guns and looking the other way as drugs and people flow across our Southern border. The GSA is spending money like no body's business and taking pictures of each other in the act of doing it. The Secret Service is out whoring around in Foreign Capitals - great examples of America there. The EPA is talking like they are the supreme power in the land. Obama wants the IRS to be the watchdog over a person's healthcare choice and actually fine Americans who don't buy into Obama Care. Friends, the Federal Government is completely out of control. It needs to be reined in quickly, if not, I fear big trouble will follow. In Washington state, some folks don't go in for trendy special style coffees made from goat droppings. Instead, beer is their drink of choice. And folks, according to a brew-master friend who lives in Washington, there are well over 60 breweries there. Of course, problems are sometimes associated with beer just as with any alcohol beverage. Like anyone, I can recall some very interesting problems when I was drinking more than I should. And yes, looking back to those days, I have to admit that some situations that I'd gotten myself into were a lot funnier than others. But trust me when I say that I never topped this man in Seattle, Washington, who called the Police to report his car stolen. Seattle police arrested a "highly intoxicated" man Saturday after he reported his car stolen, only for officers to find him sitting in the passenger seat when they responded to the 911 call. Imagine that! The man was facing charges of making a false police report, The Seattle Times reported. According to the Seattle Police Department, the man made the call just after midnight, claiming his 2009 Audi had been stolen and that he gave chase but the thief drove away. When police arrived at the scene, they quickly found the car - and yes, the man was sitting in it. Police said he made the call because he did not want his friend, who he felt was also inebriated, to drive his Audi. It was not clear to the Police or anyone else with a few brain cells still in tact exactly how reporting his car as stolen would prevent the friend from taking the wheel. The car was being driven by the friend when police found them. And according to police, the man was right about the condition of his friend, who was subsequently arrested on suspicion of driving under the influence. One unconfirmed report said that the Police noted the OBAMA 2012 bumper sticker on the Audi and immediately understood what kind of jackass would call the Police when he's sitting in his own car!